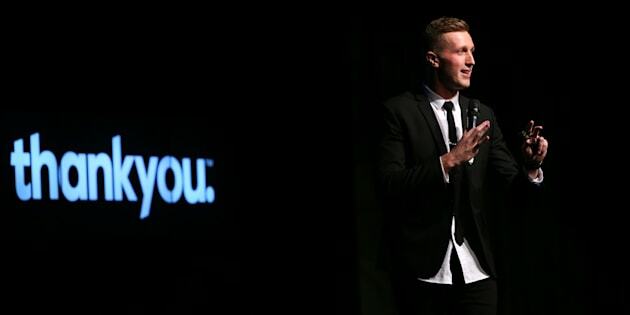 For founder and managing director of Australian social enterprise Thankyou, Daniel Flynn, his journey (like many) started out with a naive idea: to eradicate global poverty, one water bottle purchase at a time. "I was sitting at my computer reading stories of children who were walking for up to half a day just to reach drinking water," Flynn told a crowd at the 'Purpose' conference in Sydney. I saw something and I couldn't unsee it. "Nine hundred million people do not have access to clean water and yet we are spending over $100 million globally on bottled water. What difference can one person make?" "My idea was simple. Bottled water is one of the dumbest products on the planet. And we as consumers buy into the problem each time we pay for convenience. Why couldn't 100 percent of those profits go towards funding water projects?" Eight years later, Flynn has battled all odds to form a business, alongside wife Justine and best mate Jarryd Burns, that does just that. Operating under a shareholder-free model, 'Thankyou' has now delivered approximately $5.2 million to social enterprise projects in 16 countries. "We've grown up a bit since then. But the bigger this gets, the harder it becomes. And I didn't see that coming." 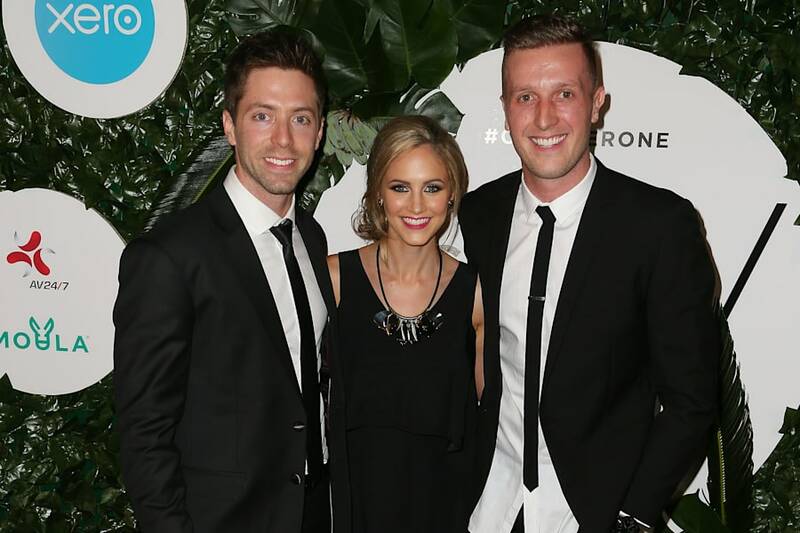 Co-founders Daniel Flynn, Justine Flynn and Jarryd Burns. The beginnings of Thankyou undoubtedly stemmed from naivety. 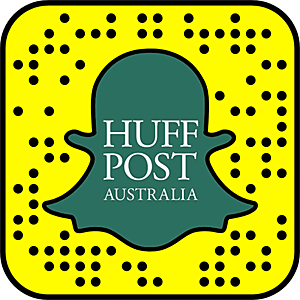 "When I brought it up, Jarryd's first question was, 'how do you start a water bottle company?' I had no idea. And so we did what any young millennial would do and googled it." People told us we weren't going to get it. And then we did. After a series of unsuccessful factory visits and business meetings, the trio scored deals with a factory that agreed to produce their product with no upfront costs and packaging giant, Visy. Their first delivery of bottles was shipped to Flynn's parents' garage. One unsuccessful product launch and one relaunch later, Thankyou water bottles were popping up in trendy cafes and stores across the country. "We then walked into the doors of one of the biggest distributors in the country. People told us we weren't going to get it. And then we did. They told us they'd take 50,000 bottles," Flynn said. Co-founder Justine Flynn chats to local mothers in Nepal ahead of the brand's latest venture. In 2013, Thankyou expanded its product range to include food and body care. But things started to stall. "We had 7 Eleven on board but no national retailer. We had all these products but no one knew about them," Flynn said. "We pitched to the main supermarkets who all said the same thing: We love your idea, we love your passion, but you don't have what it takes in this market." The team turned to creative social branding, launching the 'Coles and Woolworths campaign' that asked consumers to put pressure on the retailers to stock their products. "We flew planes above their headquarters. The best part was that the pilots flew for free," Flynn said. "Coles said yes, five hours after their pitch, and Woollies followed." Today, Thankyou has over 40 products available in 5,000 outlets across Australia (including Coles, Woolworths and 7 Eleven). Each product is fitted with a digital ID that allows consumers to track their global impact. "We feel like this is just the beginning. But our business model has been flawed from the start. We give out all of our profits quarterly and we have no investors nor shareholders. How do you scale this kind of a social business?" Flynn said. "We are not going to change the thing that started us." And so the business has set up a 'Future Fund' to accept donations and 'social finance' or avenues that promote a value-for-value exchange. With plans to launch a Thankyou baby range and expand in New Zealand, Flynn released a new book earlier this year to crowd-fund the expansion. It has taught us that we do have the power to change stuff. But in order to do so, we need to be willing to change our thinking. Every single day. Titled 'Chapter One', the book reads as a guidebook for young entrepreneurs and comes with a 'pay-what-you-want' price tag. Over 69,000 books have sold and over $1.6 million has been raised to be invested into their future projects. Published in a landscape style, the book is all about breaking conventions. "It has taught us that we do have the power to change stuff. But in order to do so, we need to be willing to change our thinking. Every single day." Today, Flynn and his team fight to maintain their naivety. "We didn't start this for the product," Flynn said. "It always comes back to our purpose." And for Flynn, daily reminders are crucial. "They anchor us in the storm and keep us steady," he said. "The process of changing stuff is really hard. My message is you must find the courage to get out of your comfort zone, cling onto your purpose and stay out there."